Amizade is seeking families from the Pittsburgh area to host high school students and adult mentors from Peru this fall! 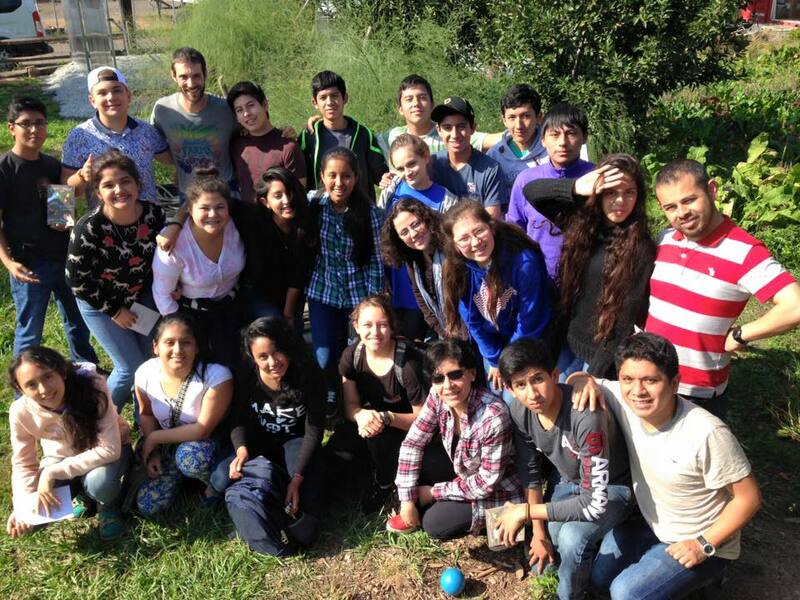 The US-Bound Youth Ambassadors Program with South America is designed for Peruvian teenagers ages 15-17. Students will stay with host families in the Pittsburgh area for 2 weeks from October 21st – November 4th, 2017. While the youth participants will have leadership workshops and team-building activities scheduled for them most of those days, host families provide an enriching, personal window into American and Pittsburgh culture. In addition to the 20 teenage Youth Ambassadors, this program also includes 2 adult mentors who will accompany the group to the United States. If you are specifically interested in hosting an adult mentor, contact us at YAPSA@amizade.org. Ideally, we encourage host families to host two students. Even if you can only accommodate one guest in your house, we still encourage you to apply. If a separate bedroom is not available for your guest or guests, we ask that the guest have their own bed and share a bedroom with a child of the same gender. Families are responsible for clearly communicating their expectations and rules about phone and internet use, curfew and bedtime, laundry, clean-up, meals, and other household rules. Students will speak in English, but families should keep in mind the language and cultural barrier. Patience, open communication, respect, and a good sense of humor are helpful tools to draw on when hosting a foreign guest. Host families are responsible for providing breakfast for their host student(s) each morning and dinner most evenings as well as other meals as designated. Amizade will provide lunch for students on weekdays and some dinners when program activities are planned for the evening. Be able to provide daily transportation to and from The Global Switchboard at: 305 34th St. Pittsburgh, PA 15221. We may be able to accommodate those who are unable to provide transportation on select mornings and evenings. Host families will be responsible for engaging with students during the 2-week homestay. The time will go by quickly, and, while most of their stay will be filled with program activities, host families will have most evenings as well as two and a half days (Sunday, October 22, Saturday, Oct. 28, and the morning of Sunday, Oct. 29) to plan other activities and spend time with their guest(s). Reside in the Pittsburgh area. Be excited about welcoming an international guest into your home! Be able to host a Youth Ambassador(s) or Adult Mentor(s) from October 21 – November 4, 2017. Be able to provide the Youth Ambassador(s) or Adult Mentor(s) with their own bed. Youth Ambassadors may share a bedroom with someone of the same gender and general age, but must have their own bed. Be able to provide breakfast daily and dinner most evenings. Be able to provide daily transportation to and from The Global Switchboard at: 305 34th St. Pittsburgh, PA 15201. We may be able to accommodate those who are unable to provide transportation on select mornings and evenings. Be willing to involve the Youth Ambassador(s) or Adult Mentor(s) in normal family activities on weekday evenings and on weekends. Be willing to submit information for a criminal background check for all family members over the age of 18 and have Amizade staff visit your home during the application process. Be willing to attend a Host Family Orientation meeting on Monday, October 2nd at 7:00 PM. You do NOT need to have children at home to be a host family. After submitting an application, host families will be notified to schedule an interview and home visit. Host families will be asked to complete a background check before final approval. Please fill out the application as completely as possible. The information you provide on this application will provide the basis for approving host families and matching them with students. The homestay is a very impactful part of the program experience. Answer the questions carefully and completely. Once you begin the online application you will not be allowed to save it or return to it. We strongly recommend that you gather all necessary information and compose your written answers before you begin the online application.